Former UFC and Bellator lightweight champ Eddie Alvarez is one of several high profile free agents to sign an exclusive, multi-fight deal with ONE Championship of late. “The Underground King” made his debut with the Singapore-based martial arts powerhouse on at ONE: A New Era on Sunday night in Tokyo, Japan. 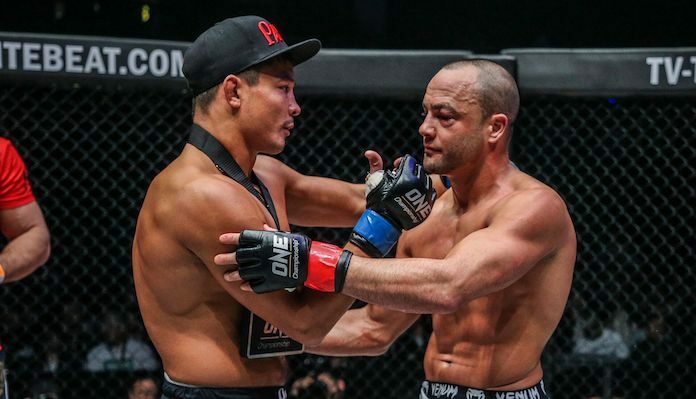 Unfortunately for Eddie Alvarez and his throngs of dedicated fans, this debut ONE Championship fight didn’t go quite as he planned, as he was pummelled to a first-round stoppage by his dangerous opponent, Russia’s Timofey Nastyukhin. Alvarez was transported directly to the hospital after this loss, and could not attend the post-fight press conference as a result. That being said the former UFC and Bellator champ has now issued a quick statement on the setback on social media. He also provided some information about the injuries he received in the fight — and they’re not pretty. Warning: The second photo in Alvarez’s Instagram post is very graphic. What do you the future holds for Eddie Alvarez after ONE: A New Era?